Leaders of the Los Angeles dance music scene come together for the inaugural charity soccer tournament, Copa del Rave, in the City of Angels on April 17. Having already confirmed eight teams from essential music industry institutions such as Insomniac, Astralwerks, Red Light Management, Liaison Artists, INFAMOUS and 2+2 Mgmt, the tournament has just added a whole host of fresh participants who will take the field. 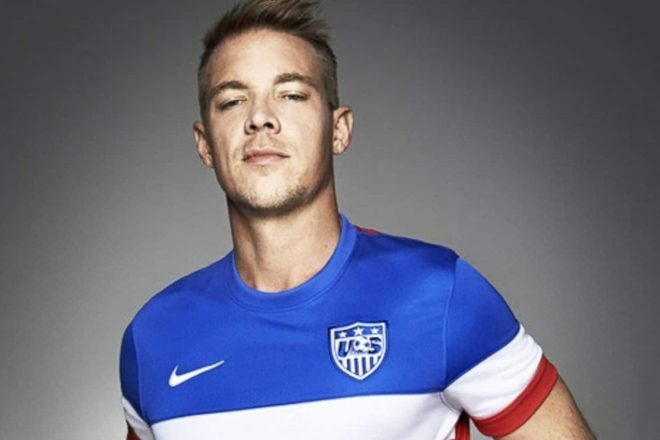 These new teams and players include Wax Motif’s Wax Ham United, Involved Management, the LA internet radio station Dublab and Mad Decent's head-honcho, Diplo. The event will also have two ragtag teams of DJs and industry players that will face off on the field against LA's most musically savvy companies to sweat it out and prove who among them has the most hustle. Other confirmed players include Ardalan, Cedric Gervais, Chris Lorenzo, GG Magree, Holly, Alexander Lewis and more. All the proceeds from the event will be donated to Copa del Rave’s founding charity partner, VH1 Save The Music, and a charity chosen by the winning team. Adidas has kindly donated kits and the indoor soccer venue, Evolve Project LA, has donated the use of its facility. The tournament will take place on the afternoon of April 17 between 3 - 10 pm. Fans and the general public are encouraged to attend and watch. DJs will play records during the tournament, and there will be outdoor performances afterward with food and drinks provided. Purchase tickets to Copa del Rave here.